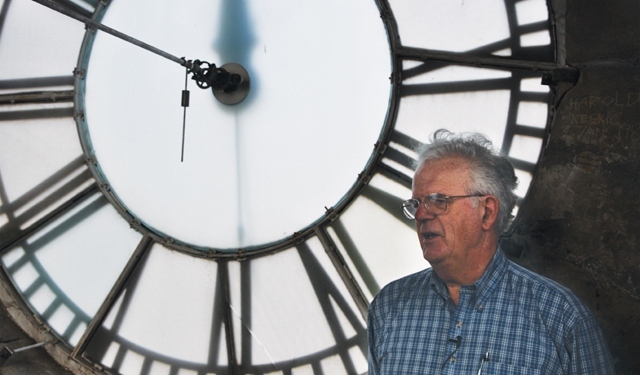 My story about Calgary’s century-old City Hall clock and Doug Sinclair, the horologist who cares for it, appears in today’s issue of Swerve Magazine. I first learned of Sinclair when I visited the clock tower with Mayor Nenshi in November. (My story about Nenshi is finally finished and will appear in May’s Readers Digest Canada.) I spent an afternoon at Sinclair’s place talking timepieces in his dining room and seeing his fabulously cluttered workshop. You’ve got to love a tinkerer.